Some people were born to work from home. They don’t need an office to keep them accountable and productive, and they relish in the quietness and comfort of their own homes. Then there are people who need to work a little harder to keep on track. With all the distractions that come with working at home, it’s nice to have some tools in your back pocket to keep yourself focused. 1. Start the day with a to-do list. I think this is a great way to start the day no matter where you work. The first thing I do when I start my day is write up a to-do list (physically, on a piece of paper) of everything I know I need to get done before the day’s over. It’s a great way to keep yourself on track throughout the day. It’s also better to have your goals laid out plainly in front of you rather than blindly trying to tackle everything and thinking after every task, “hmm what should I be working on now?” The to-do list cuts out that guess time. There’s also nothing quite as satisfying as crossing off an item on your list. for the day. Then when you begin, actually set a timer. Don’t just watch the clock – there’s something about a timer counting down that inspires us to work harder and faster. 3. Reward yourself in little ways. 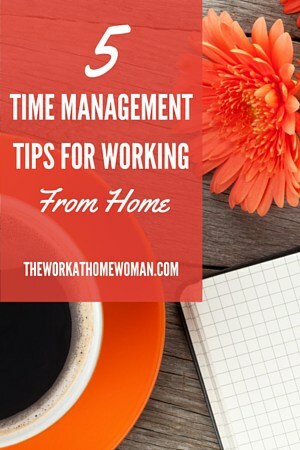 I especially love to get up and move around during the day, so whether I’m working from home or in the office I like to “reward” myself with little walks between tasks. Once I finish something, I’ll walk to the kitchen to get a snack, or walk to the bathroom, or even just walk around the room! Pick something that’s not so distracting that it’ll throw off your work groove but will be rewarding all the same. You can go on a walk between assignments like me, or you could reward yourself with a cold glass of lemon water or a healthy snack; you could light a candle, or open a window – try and get creative! 4. Don’t turn on the TV. When working from home, it’s typically a general rule that the TV should be avoided. If you like to wake up to your morning shows or watching the news, that’s fine but start working once you’re finished. When your attention is split between two screens, it’s obviously more challenging to do your best work. If you like the background noise I recommend listening to music. It throws me off, personally, to listen to music with lyrics while I’m working, so I listen to instrumental music. If you really want to feel relaxed while you’re working, I can’t recommend the “Spa Radio” station on Pandora enough. 5. Take an actual lunch break. We’ve all worked through lunch on those busier days. I’ve heated up last night’s leftovers while pouring over my computer more times than I can count, but on a normal day, I urge you to take a lunch break that’s all yours. Close the computer, if you can, avoid the TV (why fill the time you have without a screen with another screen? ), and relax for a half hour or an hour. Enjoy your lunch, eat outside if it’s a nice day, go for a walk- use the time to become acquainted with the outside world again. If you take the time to enjoy yourself, you’ll feel refreshed and ready to hit the ground running once you clock back in. Deborah Sweeney is the CEO of MyCorporation.com. MyCorporation is a leader in online legal filing services for entrepreneurs and businesses, providing start-up bundles that include corporation and LLC formation, registered agent, DBA, and trademark & copyright filing services. MyCorporation does all the work, making the business formation and maintenance quick and painless, so business owners can focus on what they do best. Follow her on Google+ and Twitter @mycorporation. Thanks for the tips! 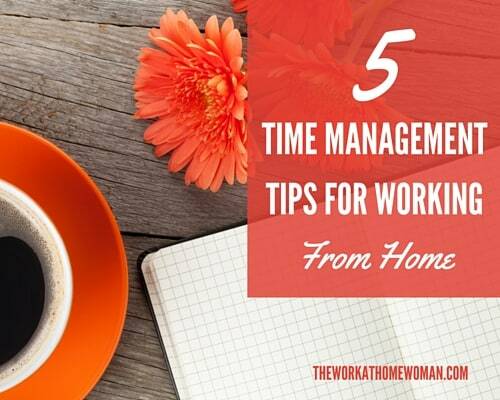 To-do lists and tracking your work time are important. I actually use an app to help me out with managing my tasks and I recommend that to everyone – it’ll make your life a lot easier :) I use https://kanbantool.com/ . In my opinion, it’s better than some other tools I’ve used. Thanks for sharing! Going to try some of these. Glad you enjoyed Deb’s tips! I like your ideas of using your calendar for reminders and alerts. Thanks for stopping by, Cori.